I sometimes wonder whether the ubiquity of sites that use scrolling for animation and parallax effects will come to define a period in web design in a way that “Flash/DHTML” sites now do. 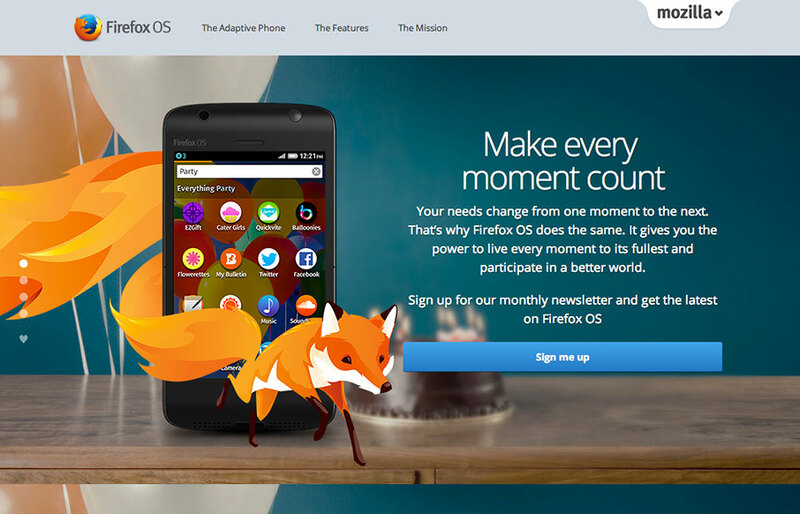 Having said that, for the time being let’s just enjoy this visual feast – of which the Firefox OS site is a great example. The timing is good when things appear on screen – I’ve seen a few other sites where the text appears for such a small amount of scrolling that you have to scroll back to read it. I can use my scroll wheel on my mouse without the screen juddering. There is an obvious alternative navigation to just scrolling. I also love the clever (although simple) way the fox wraps itself around the phone.